A new multimedia dance work explores the ubiquity of popular culture itself. Like many of us, choreographer Staycee Pearl felt surrounded. Popular culture was on a relentless manhunt, and there were fewer and fewer places to hide. This feeling became the premise behind circle POP, the new multimedia dance work from Staycee Pearl Dance Project, presented Nov. 19-20 at the Kelly-Strayhorn Theater. 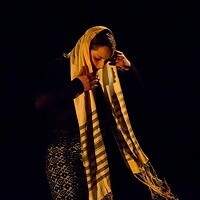 Pearl says she has seen a lot of other dance and theatrical works on the same subject, which sparked her curiosity as to how she would approach it. "I work with kids at area schools, and you see every day how pop culture affects their lives," says Pearl. "From all the media, reality-TV shows, magazines and the like, it all comes at you and you have to consciously turn it off yourself to escape it." Pearl says her approach in circle POP is perhaps different from other similarly themed works because she chose to take "a more neutral look at our world and popular culture." Born in Connecticut, Pearl, a former gymnast, began dancing at age 17 -- late for a female dancer. Her adeptness for the art form allowed her to study it at Philadelphia's University of the Arts; Dance Theatre of Harlem's school; and at the Alvin Ailey American Dance Center, in New York. Pearl came to Pittsburgh in 2000, for treatment of a kidney disorder, and decided to stay. From 2001-06, she headed the now-defunct Xpressions Contemporary Dance Company. In 2007, along with her husband, Herman Pearl (a.k.a. DJ Soy Sos), she founded Pearl Arts, a multimedia project. The hour-long circle POP culminates a year-long artist residency at the Kelly-Strayhorn during which the fledgling SPDP worked out its style. The troupe is also the theater's resident dance company. 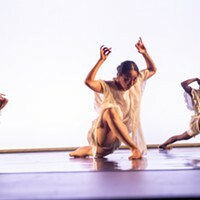 The contemporary dance work, choreographed mostly by Pearl, features SPDP's seven dancers (all Point Park University grads). Guest artists include former LABCO artistic director Gwen Ritchie, ex-Xpressions dancer Lisa Belcher and four members of the Kelly-Strayhorn Theater's resident youth theater company, Alumni Theater Company. Pearl describes the work as a mix of dance styles from modern to hip hop, set to a musical soundscape, created by Herman Pearl, including original material along with mashups of music from Jimi Hendrix, Beyonce, Jay-Z and more. Pearl says that while circle POP takes a specific perspective on the subject matter, it is presented in an abstract way, without a linear story. Ritchie will open the program with a solo work exploring the very idea of popular culture and where it came from. Belcher and the ATC youth performers will each have solos in the piece, with Belcher's solo themed around voyeurism. Adding to the work's media-based look will be projected live-feed and recorded video footage assembled by Pearl and videographer Carolina Loyola-Garcia, which will be shown on large panels behind the dancers and projected onto the dancers themselves.